Learn from a leader who's paving the way to a new era for girls in coding. The opening keynote for FETC 2016 was led by a visionary leader in education who is helping to overcome the gender gap in computer science. 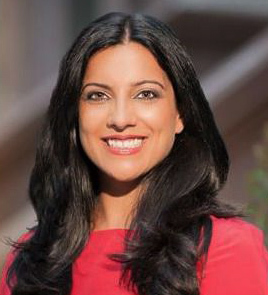 Reshma Saujani is the founder of Girls Who Code, a nonprofit organization aimed at increasing the number of women involved in fields such as programming. EdTech spoke with Saujani after her keynote at FETC this year, which was focused on inspiring educators to spread STEM initiatives throughout K–12 schools. EDTECH: Tell us about the theme of your presentation at FETC and what you hoped to achieve at this year's conference. SAUJANI: My presentation was about the national movement to get more girls into technology and coding, and the role that educators, corporations, parents and policymakers can play to close the widening gender gap in tech. FETC is a great place to share that story, because you have all those groups and decision-makers in the room. My hope is that it starts a conversation that leads to real change and a commitment to make this issue a priority. EDTECH: In recent years, there’s been a sea change in how schools approach STEM education — in particular, computer science. What would you attribute that change to? SAUJANI: I think schools are slowly starting to invest in STEM and computer science education, but we still have a long way to go. Fewer than 10 percent of U.S. high schools offer computer science, and even then, they don’t always teach coding. And even when courses are available, women and minorities are still grossly underrepresented. It’s not just a question of access, though we need to make computer science education more accessible to all our students. It’s also a question of equity and making sure that we’re reaching different kinds of students than the stereotypical coder would suggest. EDTECH: As a New Yorker, what were your thoughts on the ambitious new computer science program the NYC Department of Education is embarking on for all of its schools? SAUJANI: It’s an important first step, and I’m thrilled to see that it’s not just happening in New York. School districts across the country ­— including Chicago and San Francisco — are promising to expand access to computer science education, and that’s a very good thing. But we can’t stop there. We need to make sure that the computer science classrooms we’re creating include women and minorities; right now, they’re still overwhelmingly male. One way to do this would be to make computer science mandatory for high school graduation. EDTECH: There has been a lot of movement in getting girls interested in STEM fields such as programming. But there are still gender barriers to overcome. What do you think is needed for a true groundswell of change in this arena? SAUJANI: We need to address the culture around computer programming. Girls tell us all the time they didn’t see computer science as something they would be interested in pursuing because they’re inundated with images of computer scientists as geeky guys in basements. We know symbols and role models are hugely important in getting teen girls interested in coding and tech, and Girls Who Code works to change perceptions around what a computer scientist looks like and does. You can learn more about Saujani and Girls Who Code on the organization’s blog, I’m a Girl Who Codes. She can also be found on Twitter @ReshmaSaujani.